Mixed-Use building featuring a commercial storefront on the main level with a 4-bedroom apartment above. The storefront was previously used a beauty salon but offers large/raw space with endless possibilities. Currently setup with a waiting area, separate reception area, large open space with multiple haircutting stations & hair dryers, open loft space that would make a great office, separate storage room, powder room and rear exit to the driveway. The basement has direct access via the bilco doors and is great for storage or can easily be converted into additional commercial space. The upper level is accessed by a private/secured entrance and hosts a huge apartment with 4 bedrooms, hall bath, large kitchen, living room with powder room and fire escape to the rear of the property. Both units are metered separately for gas & electric. 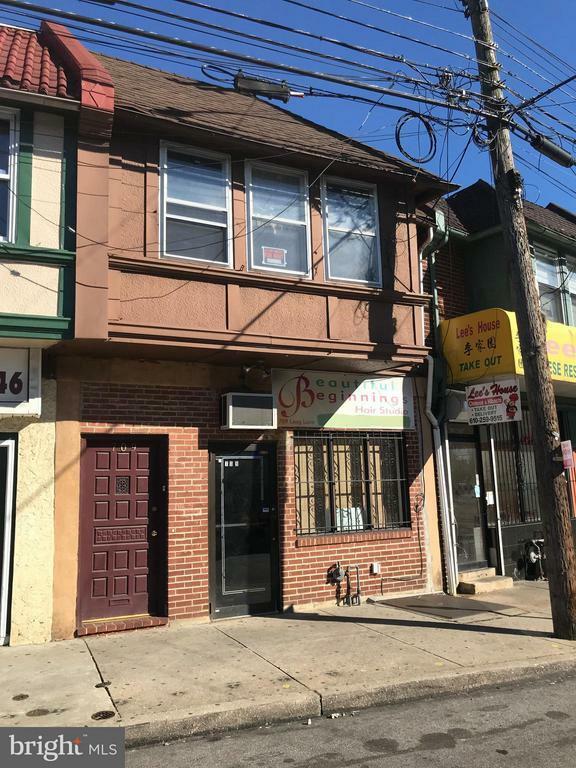 Great rental potential or endless opportunities to open a business on a street with high traffic counts.